If you are a fan of PlayerUnknown's Battlegrounds and have enjoyed its mobile version on your phone, now you can have precise control like what your mouse and keyboard offer, thanks to an official emulator. The Chinese game publisher Tencent has launched an official Android emulator for PC. 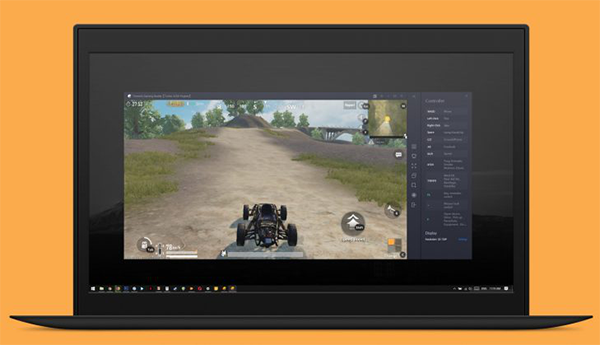 With it, you can fire up the mobile version of PUBG on your computer and use your mouse and keyboard as input devices. Players who take this route will only be paired with others who are also using the emulator, so there's no unfair advantage over those playing on touchscreens. There are multiple resolutions for selection – 720p, 1080p, and Ultra HD 2K resolutions. The highest resolution requires at least a GTX 1060 graphics card to work well. The controls functioned just like you'd expect with a native Windows game; default key bindings are listed alongside the gameplay window, and there are also on-screen buttons as in the Android version which you can click on in case you forget what certain keys do. Android Police notes that the experience isn't as polished as it can be, with issues like the Windows taskbar taking up some room on screen in fullscreen mode, and graphics being janky on the highest settings. Still, if you're looking for a free and easy way to get into PUBG, this emulator should do the trick.